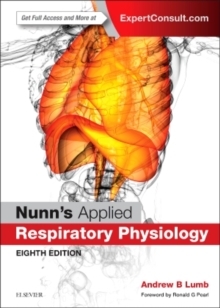 Nunn's Applied Respiratory Physiology, Eighth Edition, is your concise, one-stop guide to all aspects of respiratory physiology in health, disease, and in the many physiologically challenging situations and environments into which humans take themselves - with coverage from basic science to clinical applications. 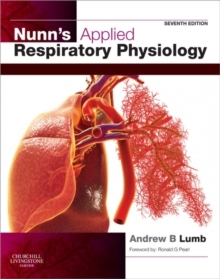 This most comprehensive single volume on respiratory physiology will be invaluable to those in training or preparing for examinations in anaesthesia, intensive care, respiratory medicine or thoracic surgery - as well as an essential quick reference for the range of practitioners requiring ready access to current knowledge in this field. Now fully revised and updated, this eighth edition includes a new full-colour format to improve clarity and understanding - and it also comes with access to the complete, downloadable eBook version for the first time. This incorporates bonus chapters, handy topic summaries and new, interactive, self-assessment material.